Among all the Triggerfinger's shows waiting on the shelves at home, this one is certainly not the best in picture quality but has something special in the conditions it was held. On this clear day of early july, the national Belgian football team was meeting Argentina for their quarter final of the world cup. Of course, Triggerfinger was due to play right at the time of the match ! Being afraid to perform in front of a not so big audience (and maybe also to miss the match !) the band asked the festival management team to put off their show later in the day. Their offer was eventually put down and they hit the stage to see that their Belgian fellows had finally made the right choice ! And they were damn right ! The band is in good mood and in great shape here. The set is definitely high-energy, particularly thanks to the awesome solo on "My Baby's Got A Gun", "Camaro" and "All This Dancin' Around" ! However, the bunch wasn't totally cut off from the match ! At some points of the show, two lovely babes nicely popped up on stage, waving and holding high a placard mentioning the score of the match. 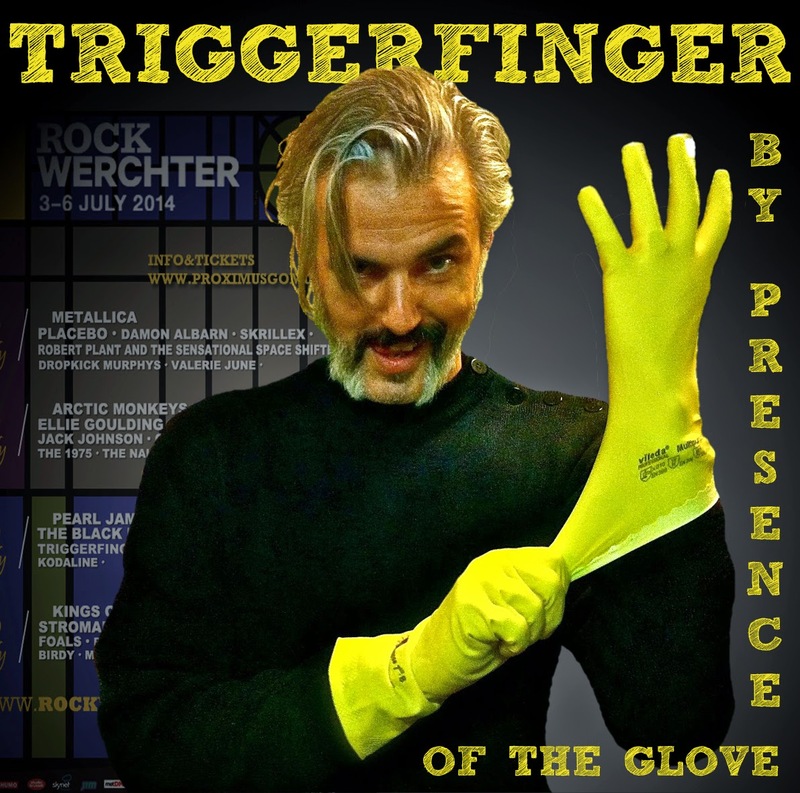 Unfortunately for Belgium this time, their team lost but Triggerfinger certainly eased the pain ! Another reason why this dvd is a bit off the beaten track is that for the first time, I've added some personal footage of some shows I attended this summer. Indeed, I was lucky enough to see our shooters twice within 3 weeks in quite "intimate" festivals, especially the Cosmopolite one at which they played a not so common "Splendor In The Grass" from the last album, after a show at Lowlands the day before and another one in ... Budapest, at Sziget, the day after !! Good God, who's their booker ?! Their Cosmopolite show was also somehow sprinkled with mishaps (see their Facebook for details, particularly the one about Mario's trousers ! :-)). That's why, I've also included a funny version of "Cherry" whose opening taking-off part was obviously giving hard time to Ruben, which really made his two friends laugh (see below for a glimpse) ! 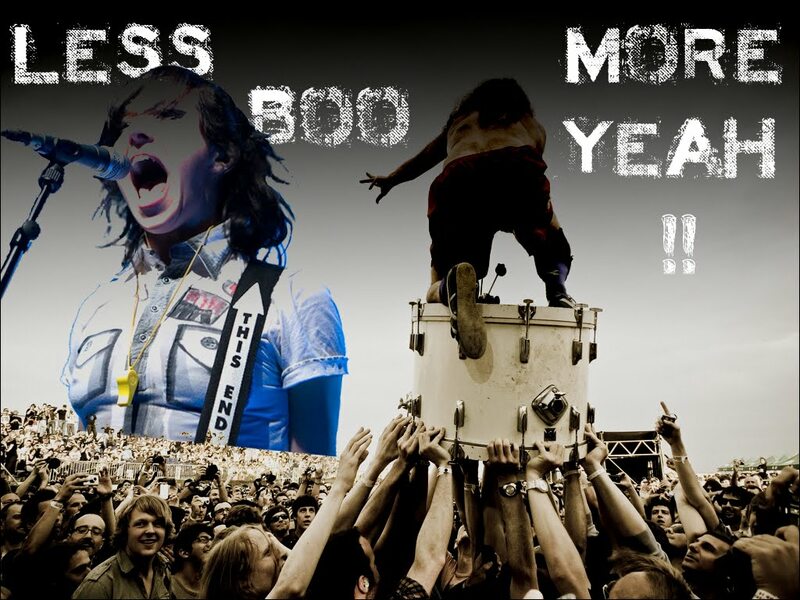 This is precisely what I love in this band. Above their unquestionable talent, skills and style as musicians, they have managed to keep this pleasure and fun to play together as well as their capacity to wonder ! This is what makes their concerts so enjoyable and different every time. Of course, here, in this "Bonus" part, the framing is less "pro" and not free from shouts, jiggles, comments and cheers (including mine ...) but the image quality is clear and hd. Anyway, these two shows in 3 weeks showed again the band is worth the drive to go and see them and I have already filled the tank up for their next extensive-intensive tour in October-December, 50 shows in 14 different countries ! Don't miss them ! Thanks a lot Chac for Triggerfinger! Great post as always!